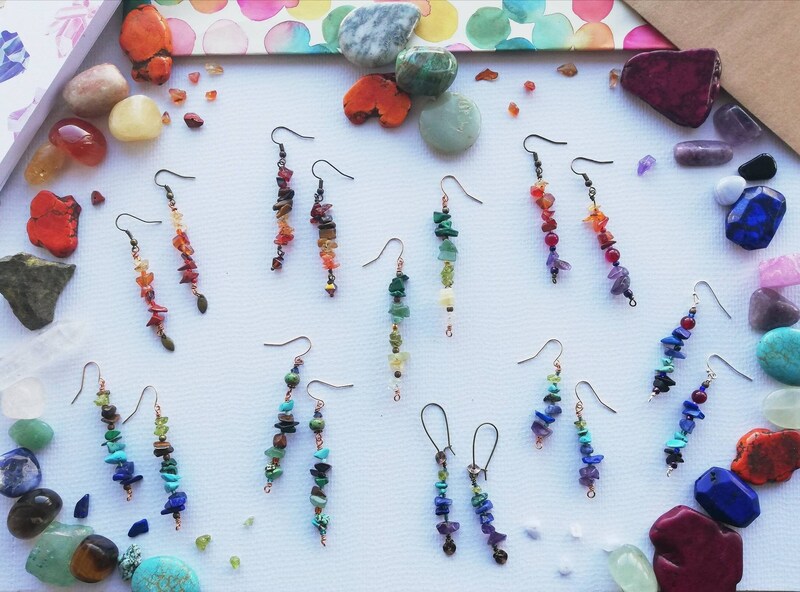 I am very excited to share and work on this new collection of earrings which gets back to what I love doing the most, using raw semi-precious gemstones and designing jewellery to showcase their colours and textures, pairing them with complimenting beads and findings. 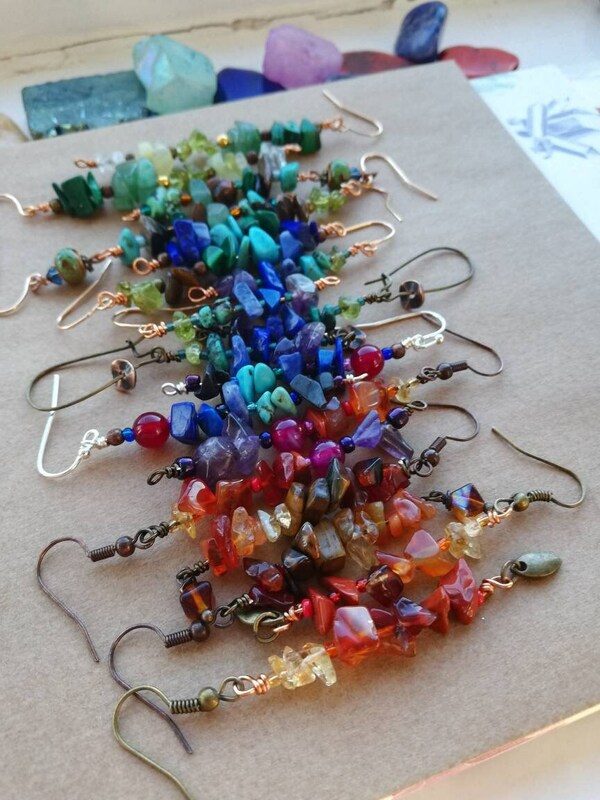 This collection includes many gemstones and spans the colour spectrum. 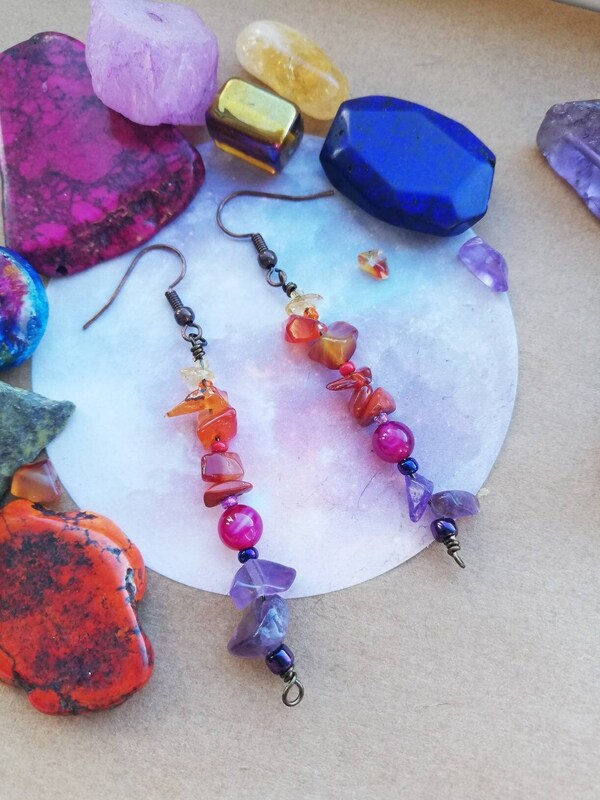 This pair has happy fruits colours: Yellow, orange, pink and purple. 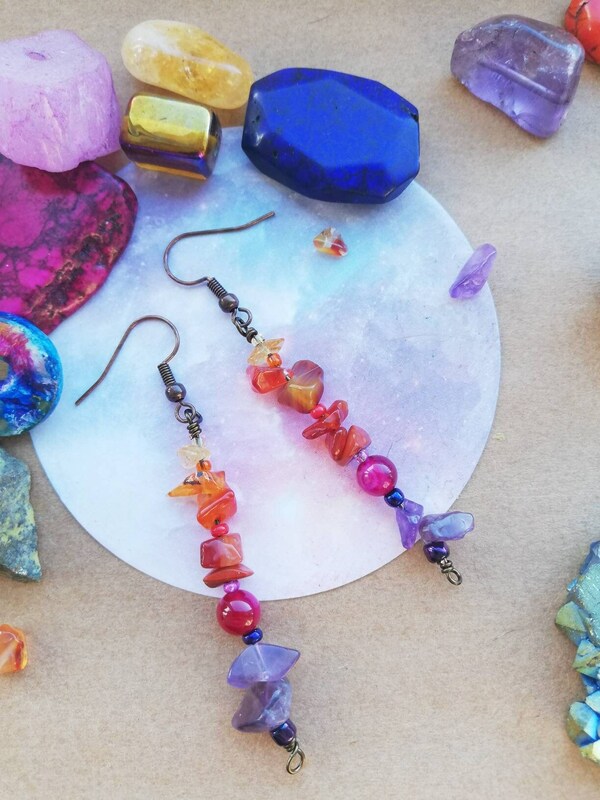 This pair has a total drop length of 5.6cm, excluding the ear wire, which are red copper French hook style ear wires sized 19mm. 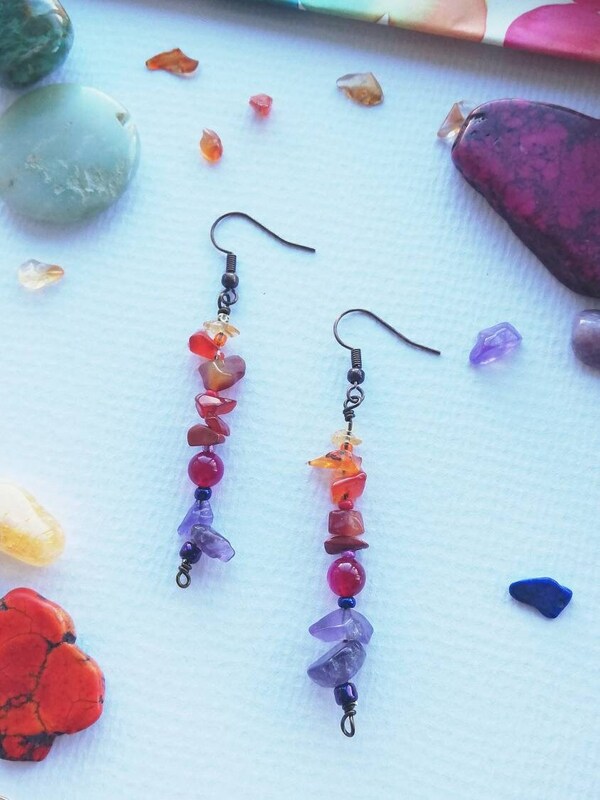 Gemstones from top to bottom: Citrine (yellow), carnelian (orange), banded agate (pink), amethyst (purple). 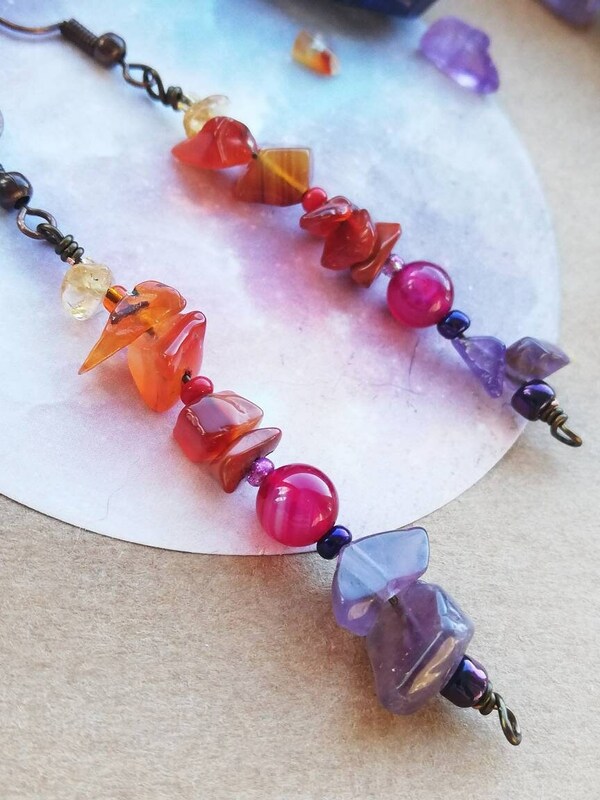 Please see my shop FAQ section for a longer list of gemstones and their properties. You can use this to put your own ‘prescription’ of stones together for yourself or as a gift – just drop me a line for a custom order. 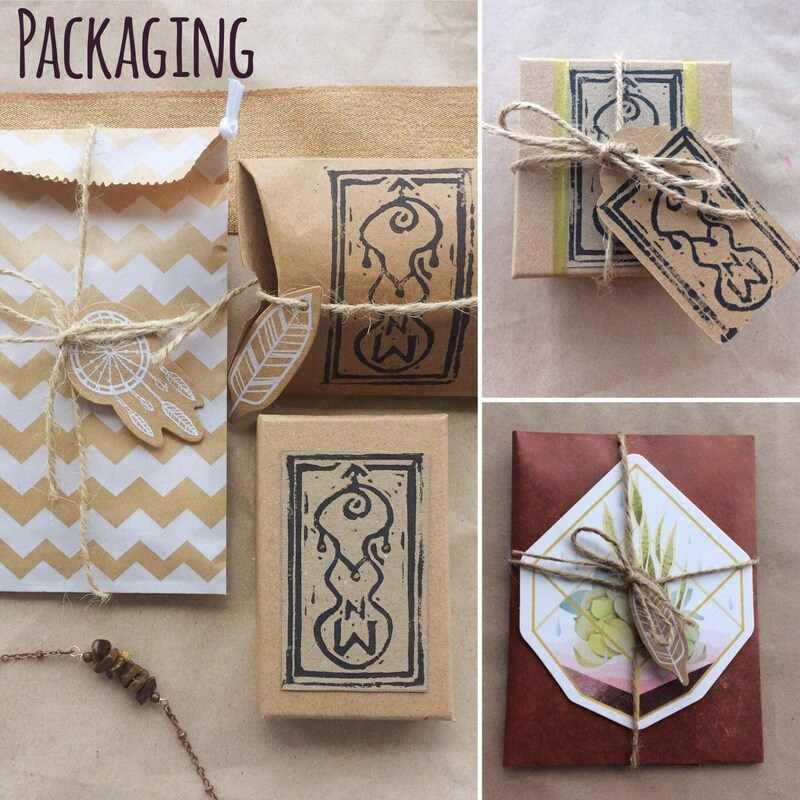 All purchases are presented in hand finished lino printed packaging and I am happy to include gift messages.